In the run up to the release of Assassin’s Creed Odyssey, Ubisoft went big on the role of choice in the narrative. How you conduct yourself in conversations and the actions you take irreversibly change the Misthios’ story, regardless of whether you journeyed with Alexios or Kassandra. 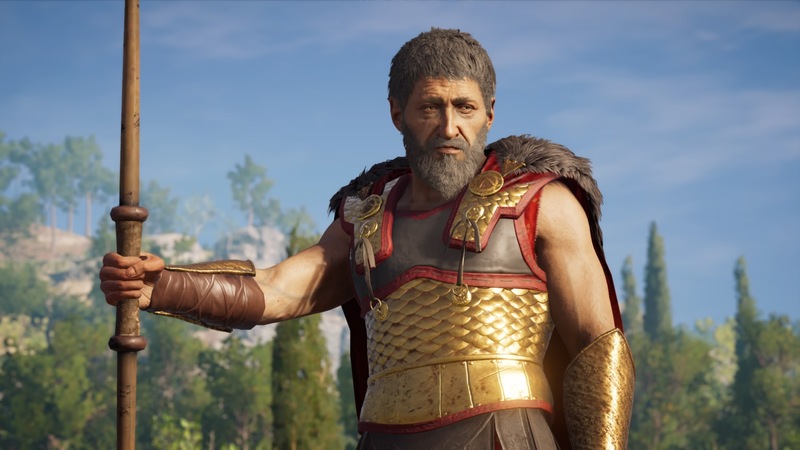 But so you’re not worried about missing out, here’s how to get the “best ending” in Assassin’s Creed Odyssey. There are 9 different endings to the main storyline depending on the varying paths you take over the course of the whole game. There are specific things that you have to so that you can trigger the best ending – which we’ll take to mean the ending which has the most wholesome conclusion – so we’ll have to be a bit spoilery to make sure you pick the right options. Consider this a HUGE SPOILER WARNING for main quest events in Assassin’s Creed Odyssey. To reconcile your family and bring them back together, there are six key events that you must achieve during your playthrough. Firstly, you must let Nikolaos live during “The Wolf of Sparta” in Chapter 2. This will mean that both he, and subsequently Stentor, are both alive later in the game. When you finally find your Mother Myrrine in Chapter 6, you have to tell her that you’ll try to save Deimos from the Cult of Kosmos. When Nikolaos and Stentor reappear in Chapter 7, you have to convince Nikolaos to step in between you and Stentor. It’s worth stressing that it’s vital to getting the best ending to not kill Stentor here, since as Nikolaos’ adopted son he’s part of your family. When you speak to Deimos during chapter 8, you must try to tell them that they’re being manipulated by the Cult of Kosmos. It’s important to try and sow this seed of doubt, because it opens up the next step to you. During the conversation, say that your mother didn’t abandon him, that she tried to find him, that the priests told her he was dead, and that you were thrown off of the cliff too. If you’ve done it right, he’ll shout: “I am not your puppet!” just after your conversation. When you have the final option to fight Deimos in chapter 9, refuse. During the conversation, say that he doesn’t need the Cult as well. If you do, and have followed the other steps, this should mean that everyone is left alive at the end of the story. To get the most out of the game on your way to the ending, check out our guides to find the best weapons and the best armor sets in Assassin’s Creed Odyssey. We’ve also got guides on the best skills to choose for hunters, warriors, and stealth characters, as well as where to find the best ship crew in Assassin’s Creed Odyssey.